The Perils of the Reformation. 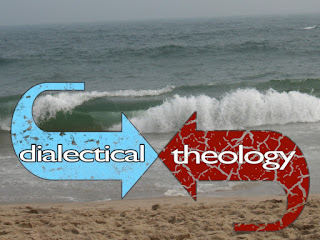 Peacebangs latest post about "Transformation" in Liberal Religion demonstrates the endless circularity in which liberal religion talks to itself. And it shows that our never evolving circular discussion among ourselves about what is wrong with ourselves traps us. Now everyone who knows me knows that I love Peacebang, so I am not hating on her. Go read her post and come back. She begins by responding to the talk about the language of "transformation" now attached to the Unitarian Universalist Justice GA in Phoenix. This establishes the target or the strawman of the piece: the notion of liberal religion whose work is to transform people into political activists. Time out: someone wise once distinguished between reformationist talk and revelatory talk in religious dialogue. Peacebang, for the most part talks a reformationist discourse. So does most Unitarian Universalist theological inquiry and talk. Reformationist discourse is talking about what kind of church we should be. It's part of the great project which has captured the UU imagination since 1968 -- answering the great existential question of "what is wrong with us?" 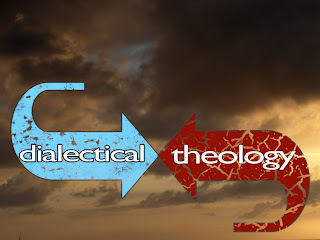 So reformationist discourse goes down a well-worn path: what are we doing? Why isn't it what we should be doing? What should we be doing, instead? If you look, you will see that this well-worn path is the outline of most discussion of Unitarian Universalism. Somewhere in there, you also need some reference to our lack of growth and/or limited demographic diversity. So for Peacebang, what we are doing is talking about political activism as transformation. We shouldn't be doing that because is so limited compared to the personal growth and maturation that we all need. What we should be doing is offering other ways of transformation -- which she does, and even says that we are already doing it, just not enough. I am convinced that this reformationist focus on ourselves became an engrained worldview during the period of Unitarian Universalism's exile period of 1968 to 2008, when all forms of conservativism were on the offensive and all forms of liberalism were on the defensive. One of the things wrong with us, I am told, is that the only way to go deeper into Unitarian Universalism is to become a minister. That is usually said in evidence of our lack of spiritual practice or theological depth. I think that it demonstrates that the real work of Unitarian Universalism has become fixing Unitarian Universalism. Given that, why wouldn't you become a minister? Peacebang offers up several examples of real transformation -- several personal movements of the spirit that matter. "all who move beyond the littleness of their opinions, preferences and comforts and into the world as a helper, a healer, an advocate, and an intimate in the human struggle." Starting a support group for the unemployed, visiting the bereaved, ending one's reactivity to the reminders of religious past, compromising in church community, even just standing up for oneself. These point to the revelation to which we in liberal religion are witnesses. We have come to know that these kind of gestures and commitments make for a different and better life. Revelationist discourse witnesses to the wisdom that a religous body has come to know. Reformationist discourse analyzes how a religious body is failing to live up to its purpose. I believe that Unitarian Universalism is an effective witnesses to the call to go into the world as "a helper, a healer, an advocate and an intimate in the human struggle." UU Reformationist discourse usually ends with a some vision of what we should say and we should do. Unfortunately, it often seems like not nearly as much energy and genius has gone into that vision than has gone into the analysis of what we are now doing, and doing wrong. Our vision is often at the end and buried under a lot of snark and self-deprecation verging on self-disgust. We should be calling people to those visions. Go into the world as "a helper, a healer, an advocate and an intimate." Our good news, our gospel and our revelation is that you can and to do so will bring you love and save you from boredom and despair. Of course, Reformationist discourse is tremendously off-putting, compared to preaching our shared gospel. Why would anyone want to throw in with a group of people whose main concern is what is wrong with themselves? Or people who think that everyone should be a UU, except the ones who currently are. Preachers! Throw out the first half of your sermon. Peacebang! Start at the end. Quit speaking to the other ministers about what kind of church we should be, and tell us all, clergy and lay alike, what kind of people we should be. Well said, Tom. Thanks as always. From deep within my soul, thank you both for this conversation. Great Discussion and one I've been thinking about recently. As a lifelong UU, who is not a minister, I going to throw my two cents in now (could be a quarter with inflation...we'll see!). I can't claim to have a comprehensive knowledge of UU congregations everywhere, but I have attended services in Albuquerque, Santa Fe and Los Alamos New Mexico, Marin County, Sonoma County and San Francisco California, Denver Colorado, Seattle Washington, New York City (two locations), Boston Mass., Berkeley Cal., and Bethesda Maryland. I have been a UU since I was about 10 years old and went through several years of UU Religious Education and youth groups. My life's experience tells me that PB rather hit the nail on the head. I like social justice and think it is important. But there was nothing in my UU upbringing, which prepared me for dark times in life. 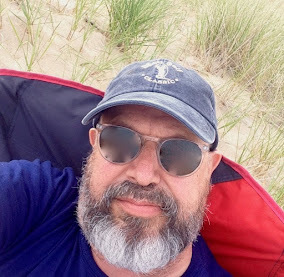 There was nothing of spiritual sustenance for me and when I found myself verging on homelessness, drunk every day, and violent, I didn't turn to Unitarian Universalism. I turned to AA, where I was told that if I wanted to survive, I'd have to find some belief in god. Today, I'm sober 17 years and have returned to atheism, but I'm an atheist with a spiritual sense of life. I love social justice, but not as much as I love being of service to another person who needs that service. It often looks the same as social justice, except that it has a spiritual underpinning, rather than a sense of righteous "doing the right thing." It requires engaging in the challenging questions that many of my co-congregants (in any of the denominations I've attended regularly) won't engage with. "We Covenenat to affirm and promote the inherent worth and dignity of all people." Do we really? What about Tea Party activists? What about conservative Christians? What about a member of our congregation who is depressed and always negative, always complaining? Are we there for them, or are we saying, "they are just too negative." When I went to AA in Marin County, CA, I found myself surrounded by people who were willing to love me until I could learn to love myself and that was what I needed. I was really sick and they loved me anyway. They took me out to eat and to have coffee. They accepted my phone calls, even at 2:00 in the morning. They drove me to meetings and helped me find a job. They pushed me to be of service to others and promised me that I would gain self esteem by doing esteemable acts. They saved my life and allowed me to save others and for that I am forever grateful. I don't attend AA in my community now, because it lacks the focus on service that my fellowship in Marin had. I found after several years, that I almost always felt worse leaving a meeting here. I'm a UU again, because I wanted my kids to get a UU religious education. I write and deliver sermons for a variety of local congregations and I still see that as a denomination, we generally seem to be missing the opportunity to minister to people's need for spirituality. It makes me sad and I do what I can but it makes me sad.